A brace from Fernando Llorente (£6.1m) sealed a dramatic 3-2 victory for Swansea City at Liverpool, with the Spaniard awarded three Fantasy Premier League bonus points. The striker registered a score of 56 in the Bonus Points System (BPS) after contributing three recoveries and a trio of successful tackles to help the visitors to victory. Roberto Firmino (£8.4m) also supplied a brace of goals, recording a BPS tally of 55, but was edged out by Llorente. Aside from his goals, Firmino completed 86% of 36 passes and six dribbles, but was tackled three times and missed the target with two attempts. James Milner (£6.4m) provided the assist for Firmino’s first goal and claimed the final bonus point on offer. The Reds left-back made six recoveries, won three tackles and completed 81% of 88 attempted passes, helping him to a BPS score of 31. Firmino's ICT Index score of 17.8 was the biggest total of any player in Gameweek 22. 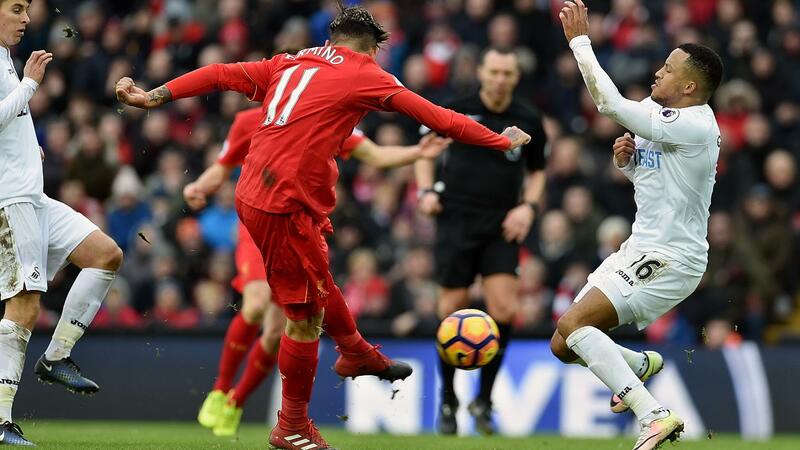 The Brazilian produced a Threat score of 77, thanks in large to six goal attempts, with five arriving from inside the Swans' penalty area. Llorente's two close-range efforts helped him to a Threat tally of 64 and an overall Index score of 14.5. That tied his best Index score of the season, having registered the same total against Sunderland in Gameweek 15. Milner came third in the Index with 10.5. He produced the highest Creativity score in Saturday's contest, providing more crosses (12) and creating more chances (three) than any other player. Llorente’s goals were his first away from home this season, but with seven strikes and two assists over the last 10 Gameweeks, the Spaniard has emerged as a real prospect for FPL managers. Although the Swans face testing trips to Manchester City and Chelsea in the next four Gameweeks, their next four home matches against Southampton, Leicester City, Burnley and Middlesbrough offer Llorente a platform to maintain his form. Those Liberty Stadium encounters could also revive interest in Gylfi Sigurdsson (£7.2m). Having been transferred out by more than 200,000 FPL managers over the last four Gameweeks, the Icelander found the net for the first time since Gameweek 15. Elsewhere, Tom Carroll's performance and assist also caught the eye. Priced at £4.2m, he offers a new option for managers seeking to free up funds via their fifth-midfielder slot. 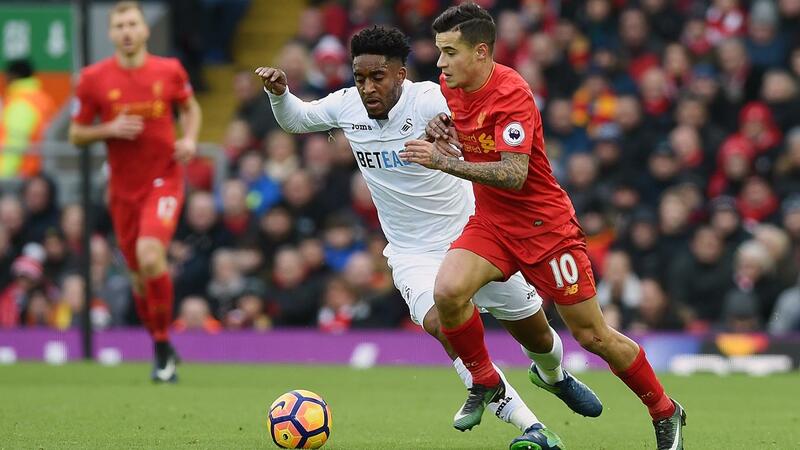 For Liverpool, Philippe Coutinho (£8.3m) returned from injury to earn a first start since Gameweek 13, having attracted 129,000 new owners prior to Saturday's deadline. Withdrawn before the hour-mark, it was instead Firmino who recovered his own fading FPL stock via a 14-point return. Firmino had returned only a single goal over the previous 10 Gameweeks before Saturday's haul. Jurgen Klopp's side enjoy six home matches over their next nine Gameweeks to promote both Firmino and Coutinho in our thinking. However, their next three Anfield opponents are Chelsea, Tottenham Hotspur and Arsenal, which could restrict the returns on offer.